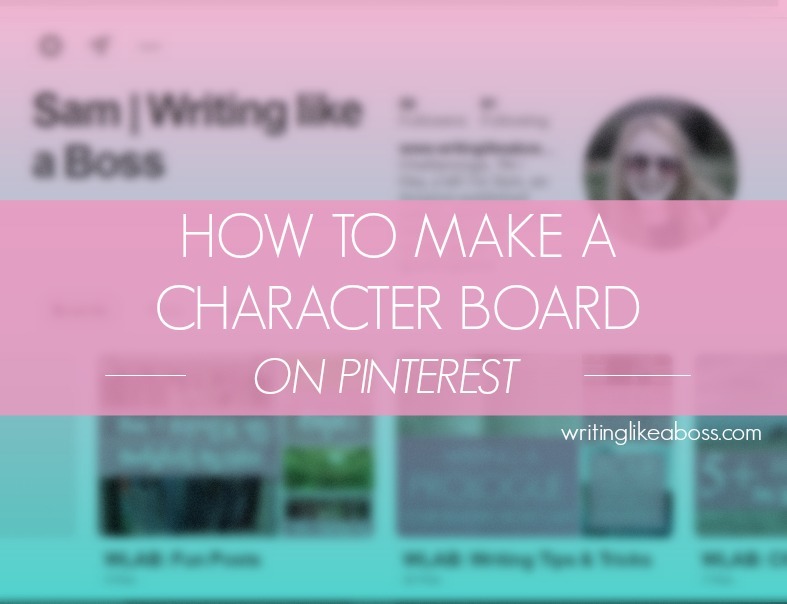 I suppose you could call this the sequel to How to Story-Board Your Novel on Pinterest. Lately I’ve been browsing the lovely Pinterest for novel inspo (and procrastinating heavily, as always), especially since I’m beginning to figure out my characters. A confession: I have nine Pinterest boards for The Girl Who Frosts the Cakes. Yes, nine. Of those, there are 2 storyboards, one board for articles that would help me in editing, one “setting” board, and a whopping five character boards. The latter of those is what we’re going to be discussing today! The morning I decided to start a few character boards, I spent hours working on them. I was trying to get into the heads of my characters, because I had just started editing. The boards started out as “secret boards”; but once I announced my novel on here, I made most of them public. I always begin the title with a C, which of course stands for “Character.” It isn’t entirely necessary, and some people simply put “Character” in their board name. Whatever suits you. Your character’s hobbies, interests, and occupation. I have one character who loves to bake, so I did searches like “baking aesthetic.” I have another who knits, and another who works a 1940s factory job – I think you get the gist. Your character’s personal style. Pin photos of clothes, hairstyles, and makeup your character would be totally willing to wear. Personality traits that fit your character. Is he shy? Search “shy aesthetic.” Confident? Pin some quotes that she would say boldly to her friends. *Aesthetic searches will give you prettier, more hipster-ish photos. That’s the best way I can describe it. Here’s a Google definition, if it helps. 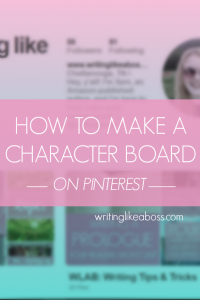 Why make a character board? Well, for one thing, it’s super fun. For another? It’s a lovely way to get to know your characters, find inspiration, and have fun with your story. 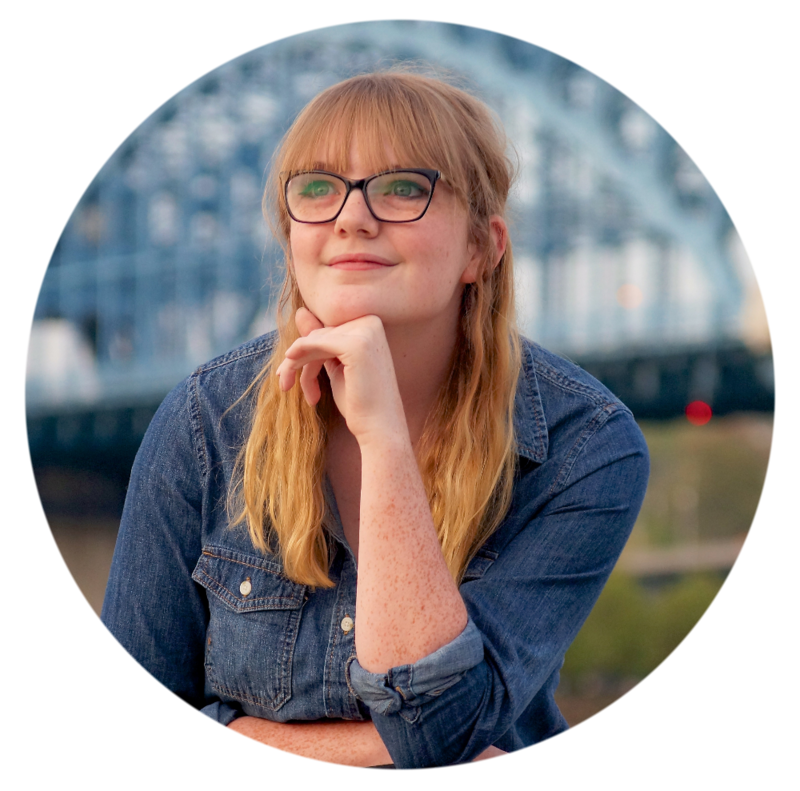 If I haven’t said it already, Pinterest is an incredibly useful resource for writers. I feel like any writer could benefit from it. So if you don’t already have an account – I seriously recommend it! And while you’re at it, follow my WLAB Pinterest! Previous Post The Undiscovered Tribe – Second Publication Anniversary!